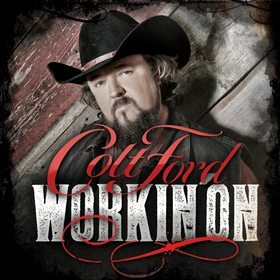 Country star, Colt Ford, is working to help support America’s service members and their families with his new song, “Workin’ On,” from his 2014 #1 Billboard release, Thanks For Listening. “Workin’ On,” an honest song that illustrates overcoming life’s challenges, is available now for download on iTunes. From March 10, 2015 to July 10, 2015, the Lone Survivor Foundation, whose mission is to restore, empower, and renew hope for our wounded service members and their families through health, wellness, and therapeutic support, is the beneficiary of 10% of all iTunes download proceeds.